The Bespoke process is very exciting but it can be intimidating when you don’t know which stone to choose. 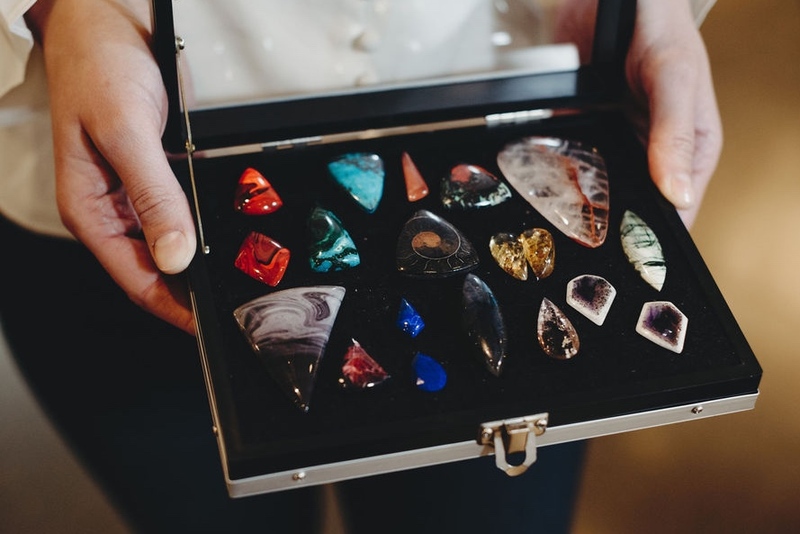 So, I have put together a collection of hand selected stones just for you to choose from. Each stone is hand selected by me and is up to EEJ standards. I look for quality, uniqueness, brilliance in color, a contrasted pattern, and an excellent cut. Most of the cabochons I work with are designer cabochons, cut by an expert. He has an eye for the pattern in a stone and knows each stone and what they can handle as far as cut. What is Bespoke? By definition bespoke is an adjective for anything commissioned to a particular specification. The word bespoke came from the word bespeak. This English word, not used very often in our times, means ‘to speak for’ or ‘to speak on behalf of’. In this instance, bespoke refers to something that is custom made, and tailored to your requirements. It is an already spoken for piece of jewelry. You give me the specifics by filling out a form (at checkout) asking for the type of jewelry (ring, bracelet, necklace, earrings, etc. ), occasion, metal preference, budget, deadline, and any design inspo. Once the stone is purchased I will email you to follow up and confirm the information you provided. After, I gather all the proper information from you I will present you with three designs to choose from. Please note* Each stone (once purchased) is non-refundable after 24hrs. Once the bespoke design is selected a non-refundable 50% deposit will be due, the stone cost counting towards this deposit. Other costs include materials and my hourly rate. If you have any questions concerning my pricing contact me here. Remember, Bespoke orders take time. Since each customer and their bespoke piece is unique, the time of completion can vary based on many factors. I will keep you updated as I go. I am super excited to begin this journey with you! For inspiration be sure to check out my Bespoke Gallery of previous commissions. They are there to help guide and inspire you!